When I joined the faculty at the University of Michigan in the fall of 1984 I counted myself among the most fortunate of men because the esteemed John Mohler was my colleague. We had been freshmen together at the University of Michigan in the fall of 1954, and there the similarity ended. I was a green, gawky kid from West Texas and John was a seasoned professional who had already studied at the Curtis Institute and served as a member of the United States Marine Band. We all looked up to John in those days, and thought he could do anything. Some things do not change. Fred Ormand: John, I have always heard you talk about Lititz, Pennsylvania. Were you born there? John Mohler: I was born in Lancaster, Pennsylvania, on October 30, 1929. My parents lived in an apartment there, but when Dad lost his position with Bell Telephone because of the Depression, we moved to Lititz, perhaps to be closer to my parents’ families as both had grown up in there. It was probably the best thing that could have happened in my early life. Lititz was a remarkably progressive community in many ways. It had been settled mid-18th century by Moravians and it was another century before non-Moravians were welcomed. The Moravians brought with them a strong tradition of musical performance and education. Linden Hall for Women was established in 1747; it remains in existence to this day! I did not grow up as a Moravian, but did attend many of their performances. FO: Were your parents musicians or musical in any way? JM: My parents were both musically inclined: Dad played saxophone and participated in male chorus activities while Mother sang in the church choir and with her sisters in other vocal events. Dad was also a fan of Sousa. We also had radio in those early years of the medium and were regular listeners to Toscanini, the New York Philharmonic, various service band broadcasts, and many other concert events locally as well as in Hershey Park where I of course would rather have ridden on many of the Park’s amusement rides! At least at first! FO: When did you begin clarinet? JM: I began clarinet in sixth grade. The high school band conductor was recruiting clarinet students; I knew family friends had a used clarinet. So, no choice! Later in high school, though, I began to appreciate the piano. They had been correct! FO: Who was your first teacher? JM: My first teacher was well-intentioned but untrained except as a vocal teacher. I had already begun piano in second grade and thought that sufficient. But not in my parents’ eyes. Piano study was to be continued. FO: Is he the one you studied with in high school? JM: The high school band conductor was recruiting clarinet students; I knew family friends had a used clarinet. So, no choice! Later in high school, though, I began to appreciate the piano. They had been correct! FO: What clarinet study followed that beginning? JM: As to subsequent other clarinet teachers, my parents found a man in Lancaster named Joseph Leptich. He was the most outstanding one available, the first clarinetist in both the Lancaster Band and Lancaster Symphony. He was a watchmaker by trade but was also studying with someone in the Philadelphia Orchestra. But by this time World War II was imminent and Joe left for work in Philadelphia. Fortunately my parents maintained contact with the Leptich family in later years. Joe was the one who insisted on my auditioning for Curtis, and who subsequently arranged a meeting with Ralph McLane. During the war years much changed, but I was able to study with an older man who had had a career of playing in the pit orchestras of several Lancaster theaters, Amandus Stetler. I attribute much of my technical achievements to him: a steady diet of Cavallini Caprices, etc. Yet another teacher was Salvadore Colangelo. I was with him only during my senior year, 1946-47. He was “Mr. Music” in Harrisburg – clarinetist in the Harrisburg Symphony, conductor of the Summer Band and a master teacher. 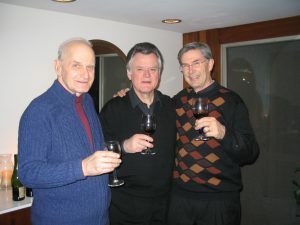 Two of his students, Joe Leo and Harold Malsh, were already clarinet soloists in the Marine Band and eventually became among my best friends. Colangelo introduced me to the Langenus Method, Book 3. It remained my technical bible for years. I have much appreciation of those teachers in my earlier years and of Henry Steiner, the Lititz High School band director during those times. FO: Did you play in any groups in addition to the band? JM: While in high school I played only in the band. There was nothing else. Competitions, district bands and orchestras resumed only in 1946. I participated in these, usually taking first chair positions – except for the 1947 state orchestra where I was a Rhapsody in Blue victim! I did play second clarinet several years in the Lancaster and the Columbia, PA, Symphony Orchestras. A side remark: at the very first rehearsal of the Enesco Romanian Rhapsody No. 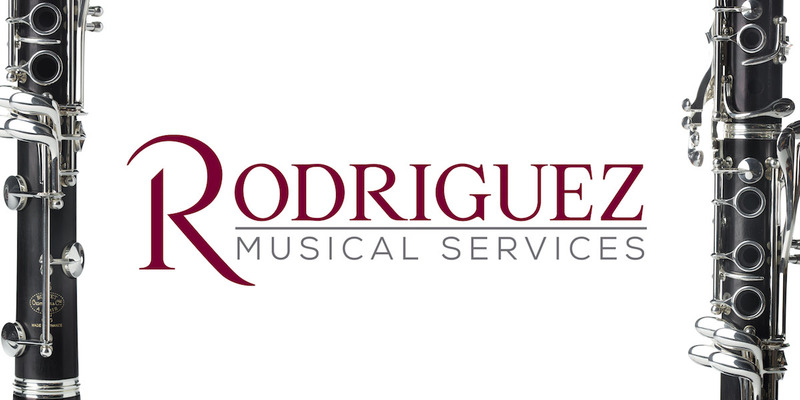 1 I attended in the Columbia Orchestra as a high school junior, all went well UNTIL my first entrance. I was on the WRONG clarinet! During the summer of 1947, Joe Leptich arranged a meeting with Ralph McLane following a Robin Hood Dell concert, the Philadelphia Orchestra’s summer home in those days. Lessons were scheduled to begin at McLane’s home on Saturdays. I was also scheduled to begin classes at the Lancaster Area College that September. The college was one of many established by the U.S. government to handle the large numbers of World War II veterans returning home who were taking advantage of the GI Bill. Enrollment was available to civilians as well at a nominal cost. Faculty were either retired teachers or others equally qualified; courses were held after-hours at local schools or colleges. It was an ideal situation for me who was to begin seriously studying clarinet. I took a few courses each term and also continued playing second in the Lancaster Symphony. Saturdays were spent in Philadelphia. I either took the bus or hitchhiked to Lancaster, then the train to Philadelphia. FO: What did you prepare for your Curtis audition? Can you remember much about the audition? FO: What was it like going to Philadelphia to live on your own? What was your housing like and what did you do for meals? The second year Ken was no longer living there but was replaced by a Curtis organ major who was also working at a nearby church. I played several times at that church. Going back to Lititz for weekends was relatively easy. The first year it was by train, the second with Ed Gobrecht, a Curtis bassoon major whose wife had a yarn shop in Hanover, PA, west of Lancaster. We would leave after the Friday afternoon Philadelphia Orchestra concert and return Monday morning. Weeks actually in Philadelphia were relative short. I didn’t care much for the fellow students’ social functions but probably did miss out on certain other activities. Early in that second year I met Dorothy. Spending weekends at home then became a priority. Meals: breakfast was toast with jelly, milk, and orange juice. The window ledge was the cooler! Dinner was usually at a nearby Horn and Hardart restaurant. I don’t remember lunch(? ), but there was a tea every Wednesday afternoon at Curtis which also came with much pastry. FO: What were lessons like? Did you do any etudes, scales or studies? I remember you telling me that you learned the most going to the Philadelphia Orchestra concerts and hearing him play every week. JM: The McLane experience was a total one. I could hear him weekly in the Philadelphia Orchestra Friday afternoon concerts and weekly in the studio and/or his home studio as well as on radio broadcasts. He played during lessons, even when he had concerts the same evening or recording sessions the following day. He was an incredibly sharing person. Once the evening at home before a recording session of Scheherazade he was trying several mouthpieces and wanted me (ME??) to tell him which to use! All experiences were wonderful. But he was also protective of resting his embouchure. “The prime reason for practicing is to develop embouchure.” Also, “the prime prerequisite for an artist is to make things sound effortless.” There were lots of scales, thirds and arpeggios from Klosé and Baermann with emphasis on “carry the tone from note to note.” A pet saying was “you sound as if you’re falling down the stairs.” He would demonstrate “bugling” but did not follow with applications. Also with vibrato. (Reginald Kell was around in those days.) There was sometimes little connection from week to week, but I idolized him as he was such a great player and person. Other studies included Eugene Gay finger exercises, Polatschek Etudes and Advanced Studies, and of course the Bonade Orchestral Excerpts. Patti Carlson may still have my copy with some ornamentation of Bonade’s picture! The major other class was practicing. Other than that, solfege every term plus some music history and German. Summers I attended classes at Lebanon Valley College near Hershey. I studied with McLane for 2+ years, the year before Curtis and the two years there. The second year was more sporadic as McLane had come down with cancer. That really stunned me, as here was my idol approaching death. As I remember, there was no substitute at Curtis and I began to consider my next steps with the clarinet. McLane did not require switching to double-lip embouchure but he was such a monster player that whatever he did, one wanted to follow. And I did also. Harold Wright was there as a model. FO: Tell me what you remember about Tabuteau and wind class. JM: The Tabuteau experience: the first year, sheer terror, but the second year he called me a “veteran.” He was a real artist in every respect. The year-end woodwind ensemble concerts at Curtis were thrilling! Curtis Hall was wood-paneled all around, no carpet or drapes. Every sound made seemed to be an explosion. He sat on a throne on the small stage and smoked with a cane tube cigarette holder, the cigarette ash of which glowed with the beat as things got more exciting and/or he became more angry, or so it seemed! The class met in two sections Thursday afternoons, among the high points of the week and where Lou Rosenblatt, Byron Hester and I became friends. Our quintet even performed in the Lititz Church of the Brethren to a very large audience. Since applause was looked down upon as a distraction from the religious experience, audience approval was expressed by the waving of handkerchiefs. This was a new experience for my friends in the quintet who often recalled it in later years. FO: You left Curtis after two years and went into the Marine Band. It saved your life – as I remember you saying, several of your friends were killed in Korea. I had met Harold Malsh, the premier soloist with the Marine Band, who had come to Philadelphia to study with McLane; he often suggested my joining the band. Malsh had grown up as a student of Colangelo in Harrisburg. When I auditioned in Washington for both the Air Force and Marine Bands, I stayed with the Malsh family. Two of the Marine Band clarinetists, the best two there, were Harold Malsh and Joe Leo. They were Salvadore Colangelo students in the early 1940s. My high school band conductor came to Lititz from the Harrisburg area and recommended going with Colangelo which I did during my senior year, 1946-47. I went by train Friday afternoons to do this. Malsh and Leo were marvelous players as well is persons. I played next to Joe all four years in D.C. It was very comfortable, but I could see that they were going to be there for quite a while and I was only able to play in the Marine Orchestra when either was sick or on vacation, so the future seemed very unsure for me. I did play quite a few small orchestra jobs, great reading experience. FO: My high school teacher took me to Canyon, Texas, to hear the band and that was the first time I saw you. I just remember being so impressed with the band and the facility and sound. JM: I remember Canyon as it was there that another member and I removed the dressing room from the wall by removing the hinge pins in order to more quickly get changed! We both had other tour-related jobs to do. Didn’t know you were watching! Glad you enjoyed the concert. It must have been in 1950, my first tour. FO: Did the band did a lot of touring? Were you required to go on every tour? These days the band is large enough that they get off certain tours. JM: The band’s touring was pretty much restricted to the annual nine-week fall tour. Not everyone wanted to do the tours and enough string players had to remain in DC for the jobs there. The tour band numbered 49 plus conductor. The unit’s total size was then about 85. At first I looked forward to the tours as I was young and unattached. The four that I was on hit almost every state. Advantages were no rehearsals and a bit of extra pay. However, the same two programs daily for nine weeks with no days off became pretty grim, especially after Dorothy and I had married. Aside from that there were a few run-out trips one could count on one hand. FO: I think I remember you not enjoying all the parades. JM: The Friday afternoon dress parades at the Marine barracks were just to be endured. They occurred only in summer and fall seasons and primarily shortened the weekends, which were already shortened by Sunday evening Jefferson Memorial and/or Watergate concerts. FO: What are some of your best memories of the time in the band? JM: Best memories from those days include playing in the band, soloing at Capitol concerts and on radio broadcasts, playing small orchestra jobs in various famous places including the White House, the feeling of independence, new friendships, being selected to be the conductor’s valet on two tours (which had its definite benefits), and the wonderful experience of performing so much music with so little rehearsal. FO: I remember so well the first time I heard you when we auditioned for Symphony Band at Michigan. Revelli had us all sit there and I think the audition piece was a Weber overture. Your articulation and precision amazed me coming from a small West Texas town. JM: You’re correct. The Michigan Band tryout number was the Weber Euryanthe Overture. Jack Snavely, no slouch himself, told me later that “I scared him!” I arrived in Ann Arbor for the 1954 summer term. Jack arrived in the same fall term from the Army Band. We had known each other from Pennsylvania competitions – where I usually came in second. FO: I also remember any time the clarinets had trouble, Revelli would say, “Play that, John,” and the rest of us would tremble in our chairs. JM: As to the Revelli requests, I trembled some of the time, too. 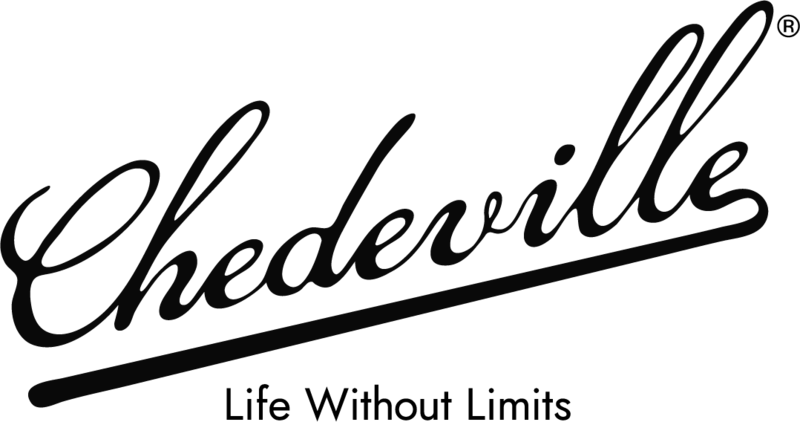 I never knew when those Revelli requests were to occur even for a percussion figure – or whatever! But I generally had the advantage of playing first! FO: What were your studies with Stubbins like? You played repertoire that was way beyond most of us. JM: When I arrived in Ann Arbor, there was first the choice to be made between the two clarinet teachers, Stubbins or Luconi. I did go to the latter’s studio to speak with him, but when the door opened between appointments I immediately decided that Luconi was not going to be my first choice. It was of course an entirely rational one based on the cloud of cigar smoke that filled the studio! Stubbins did not have the performance background of Luconi but at that point of in time I was more inclined in the direction of music education. Stubbins was for my three Michigan degrees my major professor, about five years in total. He became a close friend, mentor, faculty colleague and inspiration. Over the years I found him to be a dedicated teacher who had a great sense of loyalty to his students. His five volumes of clarinet repertory, Recital Literature for the Clarinet, were initial studies, but there was a technical publication that pushed me further along the way. The Bartók Contrasts and Berg’s Four Pieces he endured, but he was quite flexible. He urged me through the Nielsen and Tomasi concertos as well. Above all, Stubbins taught me how to make clarinet reeds. His first comment after observing my initial efforts was “Mohler, if you ever decide to build a house, hire someone!” It was typical of his sometimes droll sense of humor, but I decided on the spot that I would succeed in making reeds! He had many keenly analytical teaching techniques. Along with Kaspar he developed the SK mechanism to improve the throat B-flat and provide a more correct upper-register speaking vent. 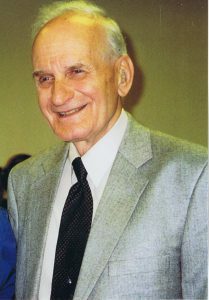 Stubbins was very influential in bringing Frank Kaspar out of retirement in Chicago to Ann Arbor. I played a Kaspar mouthpiece for years and enjoyed Frank’s friendship and personality. Living in Ann Arbor also included enjoying the University Musical Society offerings and revisiting friends who occasionally appeared. Most memorable were substituting in all concerts of two Philadelphia Orchestra May Festival Series on very short notice. Called at 6 p.m. to be on stage at 8 p.m.! FO: Did you find doing the master’s degree in woodwinds at the University of Michigan difficult? You did oboe, flute and bassoon. JM: The master’s in woodwind performance was a large change for me as I had never played other instruments before except for clarinet and piano. Oboe, bassoon and flute were the ones to be studied to a level well beyond the usual secondary requirements. In a sense, it was difficult, except at that time I was able to study with the major faculty involved: Florian Mueller, oboe; Nelson Hauenstein, flute; and Hugh Cooper, bassoon. All were master teachers. I spent time learning how to make oboe reeds. The bassoon was where I really felt at home and made the most progress. The embouchure was more similar to the way I was playing clarinet, and Hugh Cooper was familiar with others in Philadelphia so we always seemed to have more in common to discuss. JM: With the advent of the doctoral degree in clarinet performance, Stubbins felt a “professional rebirth” beyond teaching only clarinet. This was for him a new domain to be developed. There had once been a similar program in trumpet performance, but none other except for those in piano, strings, and perhaps voice, the usual musical aristocracy areas. When I finished the woodwind instruments master’s program, an excellent as well as very practical degree, I was unable to find a college teaching position. I was offered a U of M teaching assistant position if I were interested in enrolling in the doctoral program in clarinet performance. So, why not? I already had local students “on the side,” was playing in the Plymouth Symphony and the Toledo Symphony and Concert Band. Dorothy was working as a part-time nurse, our children were doing well in the Ann Arbor schools, and we were living in a comfortable and reasonable rental. The D.M.A. was a demanding program, with German and French reading requirements as well as those in music theory and history in addition to learning more clarinet repertory. And I still had some GI Bill benefits remaining! Following completion of the clarinet D.M.A., I (with wife Dorothy and daughters Linda and Carol) went to the Brevard Music Center, Brevard, North Carolina, for the eight-week summer program, a six-week orchestral series followed by a two-week chamber music series. I was first clarinetist in the orchestra(s), taught clarinet students, and participated in the chamber music series. Oddly enough the strings were excellent, but the clarinet students very weak. I ended up playing in the faculty orchestra, the student orchestra, and the band, a very busy summer, all of which I enjoyed. Dorothy was employed as camp nurse. FO: You and Dorothy were very kind to me I remember by having me over for meals. JM: I’m happy that you found Dorothy and me kind to you when we all arrived at U of M in 1954. It was probably that you also were kind to us, as these things tend to happen. Also, you seemed to have a more friendly personality than many others as well as an interest in such things as the clarinet, Marine Band, etc. FO: Your first job was at Drake in Des Moines? How was that? JM: Beginning in the 1962 fall term at Drake University, I taught clarinet, oboe and bassoon both privately and in beginning classes. I could make oboe reeds better than the students, and never did bother with bassoon reeds as a friend in the Marine Band sold them quite reasonably. Flute and saxophone were taught by the department chairman. Occasionally during the summers I taught some music theory and during the school year sat in on band rehearsals and was regularly a tour soloist. The schedule was varied and busy but also interesting. J found Iowa people and students very comfortable in every respect, but the winters very cold! I became considerably more proficient on bassoon and when at Drake University in Des Moines, Iowa, became the regular bassoonist in the KRNT Theater Orchestra. There were national touring road shows that I could schedule. The only other bassoonist in Des Moines at that time was employed by the public schools and unable to take time off to play these shows which each ran for a full week including matinées and rehearsals. For me that degree was ideal. Whether that experience could be replicated now is questionable, considering the numbers of performance majors and a faculty also so performance-oriented. Probably less-experienced teaching assistants would be doing the teaching of these graduates. Numbers of instruments available to the students and lack of sufficient practice and teaching facilities might also be a concern, but for me at that time, the degree was an ideal situation. FO: Then you returned to U of M replacing Luconi. That was quite a promotion I would think. JM: Yes, the move to the U of M was indeed quite a promotion, though I had invested a lot of time hopefully in preparation for such a step. 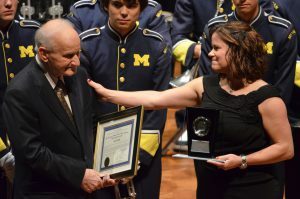 I am very thankful that it worked out, as after the prior six years in Ann Arbor, I felt comfortable (sort of, anyway) joining a faculty such as the U of M Wind Instruments Department following a man with the professional accomplishments of Albert Luconi. After the first year there, I learned that I had been appointed for an initial three-year term. No one had ever told me that! There were no more oboe reeds to make or bassoon skills to maintain. William Stubbins had no interest in performing with the faculty woodwind quintet but I certainly did. My wife and I were able to purchase our one and only house. I was able to step into the Plymouth and Jackson Symphony Orchestras almost immediately, the Detroit and Toledo Concert Bands, and occasionally the Toledo Symphony. The University of Michigan Choral Union schedule had always been attractive, and we were now only 600 miles from our home and parents in southeastern Pennsylvania! FO: When I went to Michigan State to teach I would come over for your recitals and they were so enjoyable. JM: Fred, most if not all of the above are in your background as well, particularly your Chicago Symphony experience. I appreciated your attending recitals in Ann Arbor as you had continued to be a very good friend over the years. I remember attending some of yours as well and remember your wondering how I got away with playing such short programs! Glen Watkins, music history, liked their brevity because attendance didn’t take too much time! I remember returning to Ann Arbor one night with some students following one of your programs and having my car’s brakes fade out almost entirely! Scary but all worked out safely. I also remember appreciating your Des Moines visit on your return from Texas to Michigan State (or was it to Interlochen?) one summer. I was fortunate you were able to join the U of M Wind Instruments Department several years later. We needed your help and experience there, which was, in your words, “quite a group to deal with.” I was always thankful for your friendship and cooperation over the many years. FO: You were a real friend and colleague when I came to Michigan. You ran the wind department so well and with good guidance for us all. It was quite a group to deal with. You and Armando Ghitalla retired the same year and it was never the same for me. JM: Also, I could not have accomplished whatever it was I really did without the help of Dorothy, my wife of 59 years; our children Linda, Carol and David; and all of the others, including students, who supported me in so many different ways throughout my life. I have been so fortunate. Thank you for your considerable part in it. 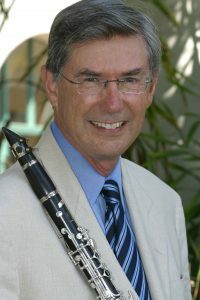 Fred Ormand, professor emeritus at the University of Michigan, is acclaimed as a leading clarinet pedagogue and has also been very active in the areas of performance and research. He played with the Chicago Symphony Orchestra and has performed as an extra clarinetist with the Cleveland Symphony Orchestra and Detroit Symphony Orchestra. Solo engagements have included orchestras in the United States, Europe, and Asia. This is an excellent interview of Dr. John Mohler by Fred Ormand. Thank you for making space in the print form for this and for the extended version Online. These were two musicians who greatly impacted our profession. To my thinking, their friendship and influence is what The Clarinet and ICA is all about. Kudos to Rachel Yoder and the whole team!